Insurance fraud has existed wherever insurance policies are written, taking different forms to suit the economic times. 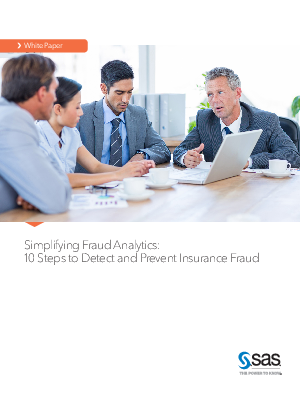 Today the magnitude of insurance fraud is not only startling but increasing. Recent studies by the US National Insurance Crime Bureau (NICB) reported a 24 percent rise in questionable claims for the period 2011 to 2013. The full scale of insurance fraud is not known. And if fraudulent behavior is not discovered at the time the claim is submitted, the insurer may never know it occurred. Consequently, an uninvestigated claim can’t be labeled as fraudulent to investigate.